This model is a simulation which draws upon Gauss' (1934) classic experiments with protists. 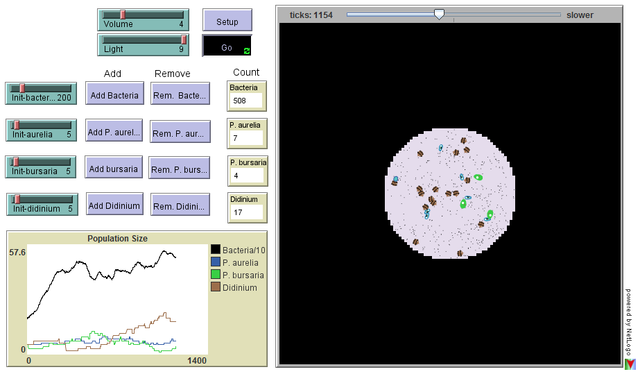 In this virtual petri dish, you can add bacteria, two species of Paramecium, and a predator. The two Paramecium (P. aurelia & P. bursaria) species compete for resources. One of the species is a better competitor for bacteria, while the other has photosynthetic endosymbionts and can utilize light. Both species are preyed upon by Didinium.